Happy Birthday cordeliadelayne! Hope you've had a lovely day. Blimey, you were quick to comment! :-) Thanks. I'm quite pleased with this one, because it's one of those rare graphics that turned out almost exactly as I'd imagined it in my head! Thanks! They're all a very photogenic lot in that show, apparently. The blue colours look amazing on Sarah. They did a spiffing job with her costumes. Thanks! Sarah looks very elegant in those costumes, and yes, the blue looks lovely. That's lovely! I love the peacock blue of her robes. Thanks! She does have lovely costumes, they did a good job with it. Lol! I'm not going to that con, despite Jack and Robert and Sarah all being there. I already saw all the guys at Wales Comic Con in April, going again in July might be considered stalking, lol! Aw, that's very pretty! She has great costumes. Thanks! She does look lovely in the blue dresses. Aw, thank you! That's a gorgeous wallpaper. The ladies did pretty well in the costuming department on Atlantis. Thanks! Hope you had a good birthday (even if it probably seems like ages ago now!). She does look dangerous (and elegant). Beautiful! 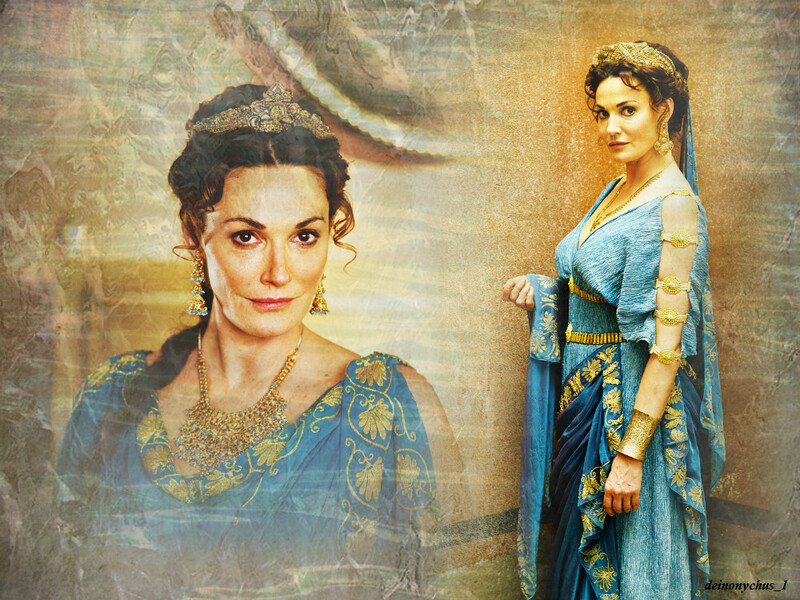 Sarah Parish does look very beautiful in those costumes, they did a great job for her, and for all the ladies.